I know how much you love crawling at your bed after a long day; it’s one of the greatest pleasures in life. Of course, you would like your bed to be as comfy as possible, and it’s the same for our dogs. Unlike us, dogs don’t have to worry about paying bills, or going to work every day, so they have the luxury of spending all day in their beds. If that’s the case, why not give our fur-babies the best bed that they would love? Maybe it’s time to have your bed or your sofa for yourself and give your dog his own cozy place to lie on. Running now to the nearest pet shop to buy your dog a bed? It’s not as easy as you think. Choosing the best bed for your dog is not just about how cute the bed is, and it’s not just the quality either. First, you need to observe your dog’s sleeping habit. Do usually occupy large space in your bed? Perhaps he likes a large dog bed. Does he sleep cozily with a blanket? Then he might prefer a snoozer-cave type of bed. Observing your dog will be a big help on deciding what bed to get for your dog. We listed the best dog beds for your pooch available in the market. 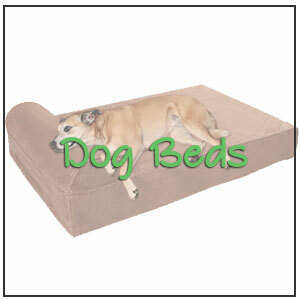 We considered the quality, sizes, and some special features of some beds that your dog might need. This type of bed is usually for medium to large dogs but if your dog prefers large space and likes to sprawl, you can also consider this one. 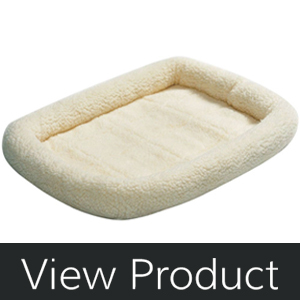 Orthopedic dog beds are made to provide orthopedic support for older dogs, or dogs experiencing joint pain. If your dog is thin you can also get this to give him extra cushioning to avoid painful pressure points when he sleeps. It’s a 7-inch x 36-inch egg-crate orthopedic dog bed that is a mattress type so this is very soft, plus its sleep surface is made of plush faux fur fabric. It has a zippered removable cover that you can machine-wash and a water resistant base that can also be washed in a washing machine so you don’t need to worry about spills or stains. It would also protect furniture & floors from dander, dirt and fur. 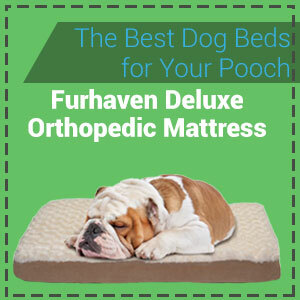 Furhaven Deluxe Orthopedic Mattress Pet Bed is also earth-friendly. The foam is made without PDBW frame retardants, mercury, lead and other heavy metals. It is manufactured without formaldehyde, ozone depletes, and phthalates, features a low volatile organic compound emission for low indoor air quality (less than .5 per million), to reduce our carbon footprint. The product will also be shipped under compression. Also the polyethylene shipping bags are easy to recycle in anywhere that accepts plastic bags. The quality of the foam is also guaranteed since it is carries certipur-us certificate, which means the foam has been tested rigorously to make sure it meets standard for content, emission and durability. The design contributes to the health benefit of the bed. Its deep convolute (‘egg crate’) foam core soothes pressure points and supports joints so your pet can enjoy a deeper, more restorative sleep. The foam’s peak-and-valley design improves circulation and provides body-contouring comfort. It has a Snuggly Soft Sleep Surface since it’s made with soft ultra-plush mattress that is comfy for paws and nose of your dogs. It also has a matching suedine gusset hides dirt and hair and complements your home décor. It is machine washable. Simply remove the cover, zip closed, and wash according to your machine’s instructions. It provides big space for your dog to lie in. It doesn’t provide blanket-like cover so if your dog gets cold easily, you might prefer a different type of bed. This one is a bolster type of bed is ideal for larger breed but is also good for all dogs. These low-profile nesters are for pups who love to sleep with their head cradled on an armrest or a pillow. MidWest Homes for pets is one of the leaders in quality pet betting industry. If you want a total pet relaxation and comfort for your pest’s quiet time. This bed is designed to suit your pet and your home in mind. It can be used not only for your newborn and young pets, but also for anxious, aging, or convalescent pets. The material used for the base is poly/cotton, and the inside the sides is polyester-filled bolsters where your pet can rest its head like using a pillow. This product claims to be durable and can be easily cleaned by putting it inside the washing machine. This bed is suitable for all seasons. You can also choose from different sizes depend on your pet. 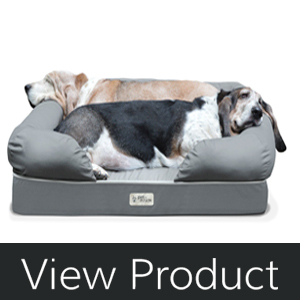 MidWest Deluxe Bolster Pet Bed for Dogs features a full pad support that surrounds the edges of this rectangular bed. It can be put inside your crate if you and your dog are traveling. 36-inch crates although it also works as well on its own. Ideal pet bed for dogs 41-70 pounds, pet bed measures approx. 36L x 23W x 2.6H. 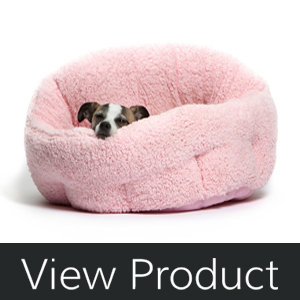 18-inch to 54-inch for fleece and pearl gray, and our fashion pink and fashion blue pet beds come in sizes 18-inch to 36-inch. It can be used if you’re travelling. You can put it inside a crater of can be used as is and put it inside the car. There’s a soft, pillow-like bolsters on the edges that your pet can use as headrest or pillow. Ultra-Soft, Rich Texture Faux Fur – it’s comfy even in warm and cold season. It can also be cleaned easily and it’s made to resist shedding and fading over time. Quality Construction and Quality Stitching. It passed through quality stitching and proven durable. It resists wearing over time and tearing from daily washing. Since it’s made with fur-like design, your dog might try to nibble on it or chew the strands. It’s not suitable if your dog likes munching on materials like this. Most dogs are cuddlers and like to snuggle, and if your dog is one them, Best Friends by Sheri OrthoComfort Deep Dish Cuddler. This one is super cute and fluffy! It’s a bed with unique high-wall design that will not only secure your dog from falling of his bed while sleeping it will also make him feel secured and cuddled because of the deep dish feature. It also has health benefits like helping relieve pressured joints. The front and side walls are intently done lower than the back so that your pet can use it as headrest. This is perfect for dogs that are up to 25 pounds. The covering is made out of Sherpa fabric that imitates soft fur that will make him feel cuddled by his mother. It will help your dog to sleep more comfortably and ease into a deep sleep. Contrast to the soft and cuddly material used for the main bed, the bottom is made from strong nylon to resist dirt and water. You won’t have problems cleaning this one. You can easily have it machine-washed and dried. It’s available in 6 different colors; fuchsia, pink, brown, black, beige, and teal. The rear wall is 12 inches and the lower front and side wall is 9 inches. The high walls designed to cuddle your pet into comfort. Cozy headrest provided by the 9 inches lower wall. Designed to relieve pressure points and avoid joint pains. Dirt, and water-resistant back, plus, it can be cleaned easily using a washing machine. It is not recommended for arthritic pets smaller than 10 pounds. Heated dog beds are perfect for small dogs and puppies that get cold easily, and also for senior dogs that need the added therapeutic benefits of a warm bed. Heated pads provide the perfect amount of pet-pleasing warmth. Lecto-soft has been warming pets for over 30 years now and you can be assured that they will provide your pet with a quality bed. Your pet can use the heating bed not only indoors, but also outdoors. 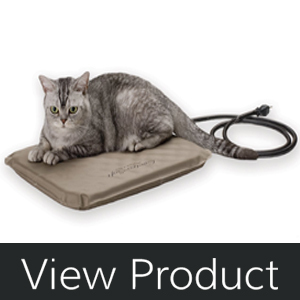 The patented Lectro-Soft is the only soft indoor/outdoor heated bed made with orthopedic foam available in the market. It’s not only the inner part of this bed is amazing, but also the exterior which is made from a super-soft, waterproof and durable PVC material that offers flexibility during transportation while making sure that your pet is as comfortable as possible. It also has a 5.5 foot cord for added security for your pet. This is energy efficient since there’s a thermostatically controlled heater to avoid exceeding the body temperature of your pet and it works the same way in indoors and outdoors. The package comes with a free super soft, removable and washable fleece cover for added warmth and comfort. To clean the bed, you just need to wipe with a damp rag. Allow to dry completely before plugging it back in and the fleece cover can be cleaned in a washing machine and dry. Free machine-washable fleece cover included. Ideal for doghouse, kennel, garage, basement, or porch. Great not for cats, but also for dogs. Internal thermostat warms bed to pet’s normal body temperature when in use. Low wattage (40 watts) and economical. MET Listed for safety so no need to worry for your pet’s safety. This product is not recommended for pets that chew or are destructive in any way. Is your pet fond of sleeping in your sofa? Why not give him a sofa of his own? You will surely get your money’s worth with this product. With its 4-inch solid memory foam base is made for an extremely comfortable experience. It also has health benefits like reduced joint pain, mobility, & energy, ideal for older dogs, or dogs having problem with joint problems. Its great design includes Base & bolsters provide optimal support and comfort. It’s safe from stains and liquids because of its water-resistant. It’s also has a tear resistant cover to protect the bed from your dog’s paws. This one is slip-free made possible by its Non-skid bottom. It blends in seamlessly with your décor with its sleek design. The removable cover can be washed through washing machine and the rest of the parts can just be wiped clean. It is ideal for ideal for medium/large or multiple smaller dogs and can hold up until 100 pounds and up. 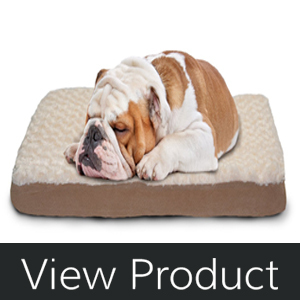 PetFusion Ultimate Pet Bed & Lounge in Premium Edition is made from premium quality materials. Made out of Durable & comfortable polyester (65%) & cotton (35%) twill and earth-friendly Recycled ‘green’ polyfill support bolsters are generously filled. The cover fits snug around the cushion and “head rests”, so there is little chance for snagging/tearing on the dog’s nails. It is sturdy and cushiony at the same time. Easy to clean and easy to assemble. Good for dogs that have joint problems. The materials used were all of high quality. It has a large space for a large dog and small dogs who want to snuggle together. There would be another after you opened it, but it will dissipate over about 2-3 days and is not noticeable any more. Make your dog’s bed truly a part of your home with the perfect fabric choice and optional personalization. We hope that this list of the best dog beds for your pooch helped you with choosing the perfect bed.